Catch basins are designed to funnel water away from your home when it rains. 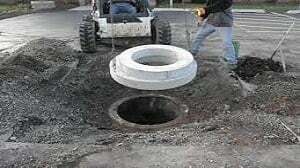 We have helped many NJ customers with catch basin installation and catch basin repair or re-design. If you are having a drainage issue and need installation of a catch basin or catch basin repair contact us to discuss your drainage issue.